Equipped with a breathable, waterproof Gore-Tex membrane and a gripex Tri Traction outdoor sole, the T Aegility Low GTX multisport shoe is guaranteed to perform well, regardless of whether you're running, walking or doing some Nordic walking. This lightweight outdoor shoe is made of light textile fabric and reinforced with TPU for toughness and durability. 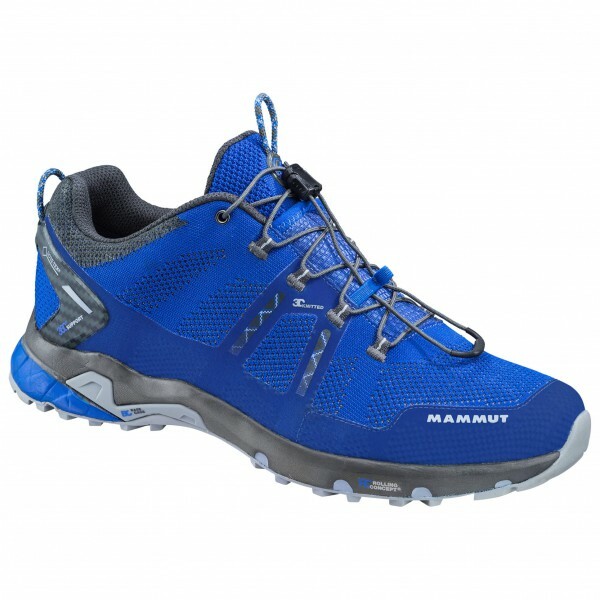 For a secure, comfortable fit, the shoe also features an elastic Gore-Tex tongue construction along with an Advanced MTR quick lacing system. The EVA cushioning provides additional comfort and serves to prevent premature fatigue on long treks. Thanks to the waterproof protection they provide, the T Aegility Low GTX are perfect for any weather.